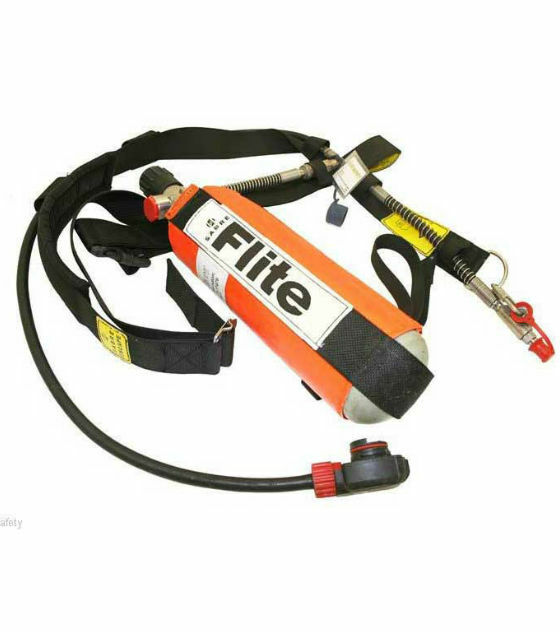 The 3M Scott Safety Flite Airline Breathing Apparatus is an open circuit, positive pressure airline breathing apparatus generally comprising; bandolier harness, positive pressure airline apparatus consisting automatic positive pressure demand valve; supply hose and coupling for airline supply hose. Additional coupling allows the connection of an emergency air supply cylinder. Can be used with the full range of Scott positive pressure facemasks as well as the Sprint positive pressure hood. Optional hip mounted cylinder as an airline escape set. An additional coupling allows the connection of an emergency air supply cylinder which provides an independent air supply with a duration of 10 to 15 minutes, dependant on cylinder size. 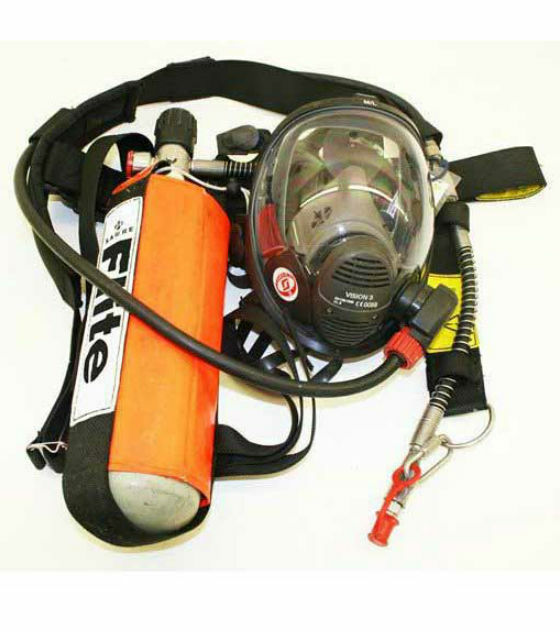 The apparatus can be used with the full range of 3M Scott Safety positive pressure facemasks as well as the Sprint positive pressure hood when used as an escape only apparatus. 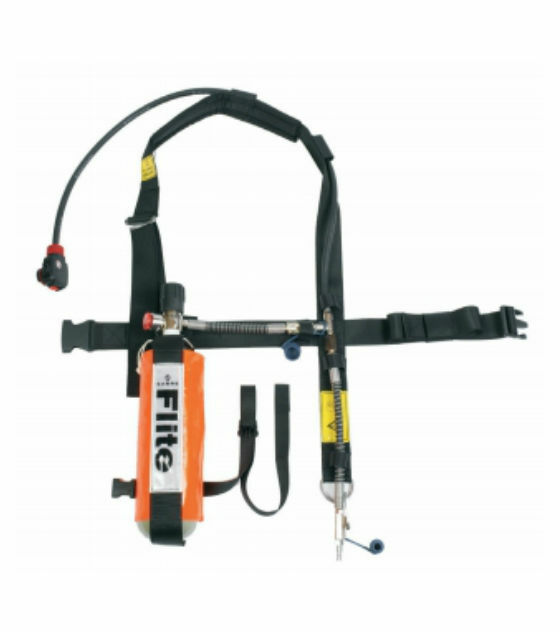 The FLITE is specifically designed as an airline working set and with its optional hip mounted cylinder as an airline escape set, it has many applications but is particularly suited to confined space entry and the oil and gas industry. It is also suitable for providing respiratory protection in any IDLH environment. The airline coupling is a male CEN type and is mounted on a swivelled pigtail assembly. It also incorporates a non-return valve so air from an attached cylinder can not escape when the apparatus is detached from the airline supply. Optional Foster, Hansen HK and Staubli type fittings are available. 1024175 038.243.99 Spare cylinder pouch for CYL-FLITE-10 & CYL-FLITE-SL. 1024173 038.243.96 Spare cylinder pouch for CYL-FLITE-15.